Celebrate any memorable occasion with a Champagne Bottle stress ball. 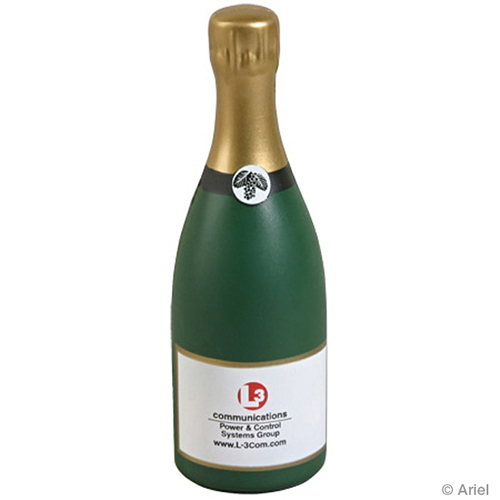 You can put a custom imprint on the label of a champagne bottle stress reliever and hand them out at parties, restaurants, wineries and industry shows. These champagne bottle stress balls make fun promotions that can be squeezed without the risk of spray! Item Size : 1-1/2" dia. x 4-1/2"